A Plano-Convex Stone Knife was found in the funerary site of Shaw Cairn in 2008. Within the barrow was a stone lined grave which is know as a cist. 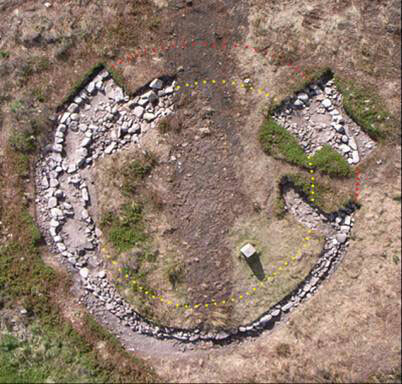 Unfortunately most of the cist was found to have been damaged by previous digging sometime in the last century and only a fraction remained of the original deposit, with no trace of the burial itself. The knife was found within the fill of the cist, along with some magnificent Bronze Age Amber Beads from a necklace.